Should The Constitution Abolish The Death Penalty? Section 230 of the Criminal Code of Grenada provides that any person above the age of eighteen years of age who is convicted of murder by virtue of the court system would be liable to suffer death. This piece of legislation is fully authorised by Section 2 of the Grenada Constitution. Despite these provisions, the last execution which was carried out in Grenada as a result of a Court conviction was 36 years ago in 1978. Since that time quite a number of persons were convicted for murder, sentenced to ‘death by hanging until dead,’ but those sentences were never carried out. As a consequence the official executioner known as ‘Choicey,’ lost his job. Besides Grenada, Suriname is the only other CARICOM country which may be considered to be an abolitionist country in practice as that pertains to the death penalty. The last execution which took place in Suriname was in 1982. Although capital punishment is still on the statute books of Suriname the death penalty was de facto abolished in 1987 when that country signed the Treaty of San Jose to this effect. All other CARICOM countries have retained the death penalty in statute and in practice for the crime of murder. These are, Antigua, Bahamas, Barbados, Belize, Dominica, Guyana, Jamaica, St Kitts, St Lucia, St Vincent and Trinidad and Tobago. Within the Caribbean Basin, but outside of CARICOM, Cuba and Guatemala have also retained the death penalty. Ten Latin American countries have abolished it. These are Colombia, Costa Rica, Dominican Republic, Salvador (for ordinary crimes only), Haiti, Honduras, Mexico, Nicaragua, Panama and Venezuela. 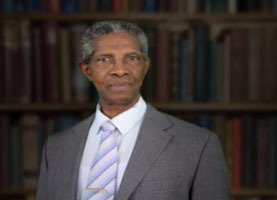 There is a concerted effort being made by an organisation entitled ‘Greater Caribbean for Life’ which is pushing to have the death penalty removed from the statute books of all countries in the Caribbean Basin. This organisation was launched in Trinidad and Tobago in October 2013. There is also an international organisation called ‘World Coalition Against the Death Penalty’ which aims to encourage the establishment of national coalitions, the organisation of common initiatives and the coordination of international lobbying efforts to sensitize states about abolishing the death penalty. On 10 October of every year since 2003, this organisation celebrates World Day Against the Death Penalty. Several arguments have been put forward for the abolition of the death penalty. Firstly it is claimed by many that the death penalty violates the right to life which is the most basic of all human rights. Moreover it violates the right not to be subjected to torture, cruel, inhuman and degrading treatment or punishment which rights are enshrined in several constitutions. Additionally it is claimed that the death penalty undermines human dignity which is an inherent characteristic in every human being. Secondly, and perhaps the strongest of all arguments, is that in many instances where several persons were subjected to the death penalty as a result of convictions those persons were subsequently adjudged to be innocent. Despite the fact that some justice systems have been well-developed these systems will always be susceptible to human failure and unlike prison sentences, the death penalty is irreversible and irreparable. For example in the United Kingdom, reviews undertaken by the Criminal Cases Review Commission resulted in one pardon and three exonerations for people who were convicted and executed between 1950 and 1953. In the United States the Death Penalty Information Centre published a list of ten inmates who were executed but were possibly innocent. Thirdly, a claim is made that it is not conclusive that the death penalty has the deterrent effect on the incidence of murders. This claim has been recently endorsed by the General Assembly of the United Nations in resolution 62/206. However some social scientists claim otherwise. These claim that the death penalty do in fact deter persons from committing murders and in any event convicted murderers who are executed would no longer be in a position to commit other murders. There seems to be no strong basis however, to accept or reject either of these arguments. Seeing that Grenada is presently in the process of reviewing the constitution, it is being advocated by the local chapter of the Greater Caribbean for Life that the constitution should be amended so that the death penalty in Grenada would no longer be on the statute books. Selwyn Strachan, a former inmate on death row at Richmond Hill Prisons is the head of this chapter. Following this solicitation the question which is being asked by some is: If this is done would this not send the wrong signal to would-be murderers that it becomes more probable to get away with murder?